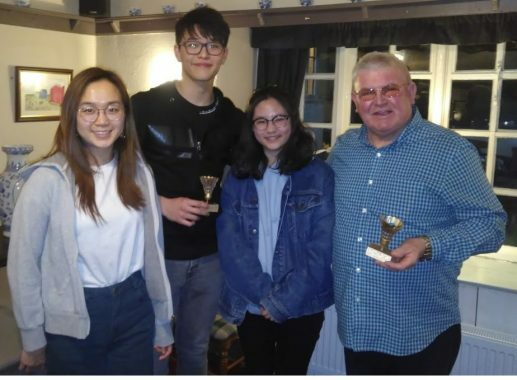 On Saturday 30th March, the Llanferres Badminton Club held their annual dinner and awards ceremony at the Druid Inn. Three Ruthin School students are part of this badminton club and they too enjoyed the evening. At the awards ceremony, Rosy was nominated for the Best Newcomer Award and Angela for the Player of the Year. However, it was Figo who took the Best Newcomer Award for his successes throughout the season.